The rabies vaccine is legally mandated...is your pet vaccinated? If not, click the link below to find a low cost rabies clinic in your area! Looking for a veterinarian or animal werlfare agency? Here is a great list of contact numbers to keep on hand! 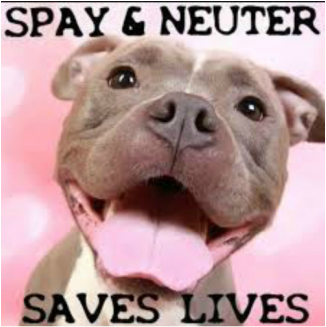 The Spay & Neuter Clinic of Alamance County provides low-cost spay & neuter surgeries for cats and dogs. A rabies vaccine will be required if the animal is not current. Please call 336-570-6767 for more information! For TNR assistance, please contact Sparkle Cat Rescue. Mission: Our mission is to find forever homes for felines rescued by a small circle of experienced volunteer cat rescuers and to provide education about spay/neuter and care of felines, as well as TNR (trap-neuter-return) advice/assistance. Animal Resource Friends: Helping to reduce pet surrender and abandonment by providing food and care to Alamance County's pet community. ​Animal Resource Friends provides assistance, such as: pet food distribution, spay and neuter help (via local veterinarians), and dog houses to those who are having financial difficulties or income limitations in the community. Need to find a local rescue group outside of Burlington NC? Visit petfinder.com and search by zip code on Petfinder.com. ​For Burlington/Alamance County area rescue groups, click link below. Banfield Pet Hospital (located in Pet Smart stores across the country) has a complimentary coupon for new clients only. This is perfect if you have found an animal and want to have it checked out or if you have recently adopted and have never visited Banfield before. Burlington Animal Services is a division of the City of Burlington's Police Department and is responsible for enforcement of laws pertaining to animal issues in the City of Burlington as well as providing public animal sheltering and pet adoption services for all of Alamance County. For Animal Control issues, please call (336) 578-1386. Learn how to care for neonatal kittens (kittens zero to four weeks old). 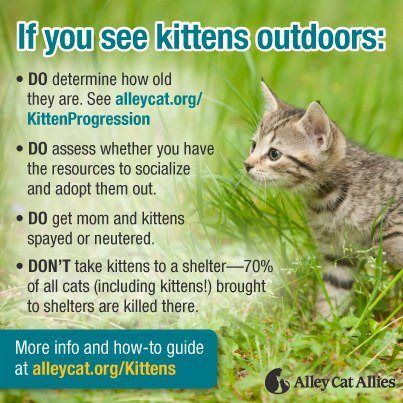 ​Alley Cats & Allies developed this webinar series to make sure anyone who cares for orphaned kittens is ready to provide the food, love, and care they need. The series of 90-minute online presentations includes sessions geared toward rescue organizations, fosters, shelter staff, veterinary staff, and others who want to help save kittens. Bingo Pet Hospice is a 501(c)(3) non-profit organization founded to support owners of aging pets with educational, emotional and financial assistance to prevent the abandonment or unnecessary, early euthanasia of elderly animals.